Read the signs where you are skiing or riding - they are there for a reason. The avalanche death he is referring to is that of Jamie Pierre, a professional skier who died in an avalanche on Nov. 13. It occurred at Snowbird Resort in Utah, before they had even opened for the season. 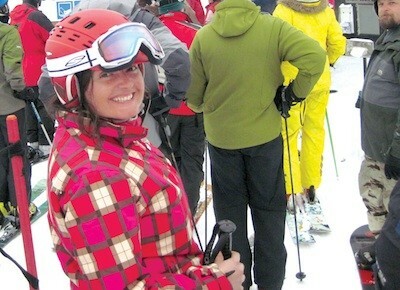 During the 2009-2010 season, on a Friday afternoon in mid-January at Sun Valley Resort, a skier who was traversing off trail but in bounds and in an open area, was caught in an avalanche and died. Already taken a class but want to brush up on your transceiver skills? Schweitzer’s Ski Patrol holds a weekly skills session, called Transceiver Sunday. This field session is great for those looking to brush up. Schweitzer will also be rolling out additional community outreach programs for avalanche awareness. Ski patrols all over the country spend hours prior to the first chair being loaded doing control work, which involves using explosives or just “ski cutting” slopes, all in an effort to mitigate the risk of an avalanche. Alley explains that in addition to snow at Silver, “avalanche activity issues can be due to wind. Skiers and riders have to do their part by recognizing out-of-bounds rope lines and signs pointing out closures. For most skiers and riders, as they get better and rely on newer equipment, they want more challenging runs. This makes the task of keeping everyone safe even tougher for ski patrols. There’s a rising statistic to go with the desire for steeper and deeper — the Non-Avalanche Related Snow Immersion Deaths (NARSID) — and the number of such tragedies is going up. While avalanche-safety issues are still a big concern, many more NARSID accidents and fatalities are occurring, with people falling into tree wells and not being able to get out. This is why area resorts are taking measures to help educate mountain riders to the risks that exist. Still, as it’s always been, staying safe is the responsibility of the skier, first and foremost. “We have spent a lot of money in cleaning up and additional signage,” says Dave Alley of their effort to make everyone as aware as possible of their surroundings. So read the signs — they are there for a reason. Like on most mountains, there is terrain that can be accessed but is not patrolled or controlled for avalanches. These areas should only be accessed if you have all of the essentials, including the education, specialized gear and a buddy. “The best prevention is to educate yourself and to ski with someone,” says Schweitzer’s Williamson. Wow! What a November and early December this has been. While we’re less than a month into the season, many avid riders in the region are boasting double digits for their ski day totals with still many days (and months!) of winter left to go. How many do you have? Getaways Head to Revelstoke, B.C. | Wintering on Priest Lake? If coverage or conditions are your concern for having not clocked your first day, there’s no need to have this worry. Conditions and coverage are historically better than many can remember. All ski areas opened within a week of each other, and 100 percent of the terrain in the region is open. Many of the resorts opened earlier than they have in recent history. The rain during the last week of November actually helped the current snowpack, which is why area resorts are still boasting great coverage even without any recent snow. 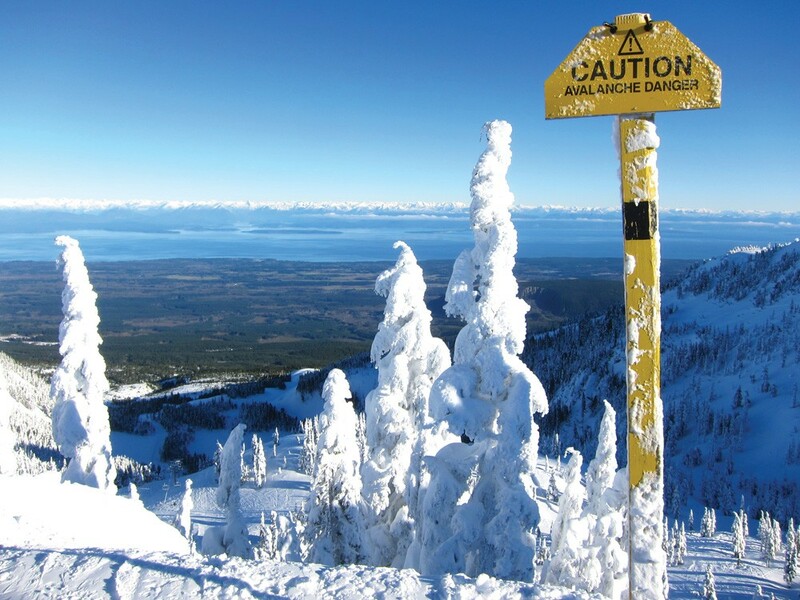 But keep in mind that it is still early season so remember to ski and board with care. With the shortest day of the year almost upon us and a lingering high-pressure system, valley fog is masking the beautiful sunshiny days up in the mountains. Soon, the days will start to get longer, and we’ll be back to enjoying long afternoons full of sun. The holiday season is in full swing and the Inland Northwest has the most epic start to the best time of the year — ski season. So what are you waiting for? Get up to the mountains and enjoy the snow, sun and laughter with fellow snow-riding enthusiasts. Happy holidays and see you on the slopes!